The UK Information Commissioner's Office (ICO) has denied IPVM's complaint against IFSEC for misuse of facial recognition. Each Exhibitor could be regarded as an independent and separate data controller of their propriety equipment who would be responsible for ensuring it fulfils its fair processing obligations. 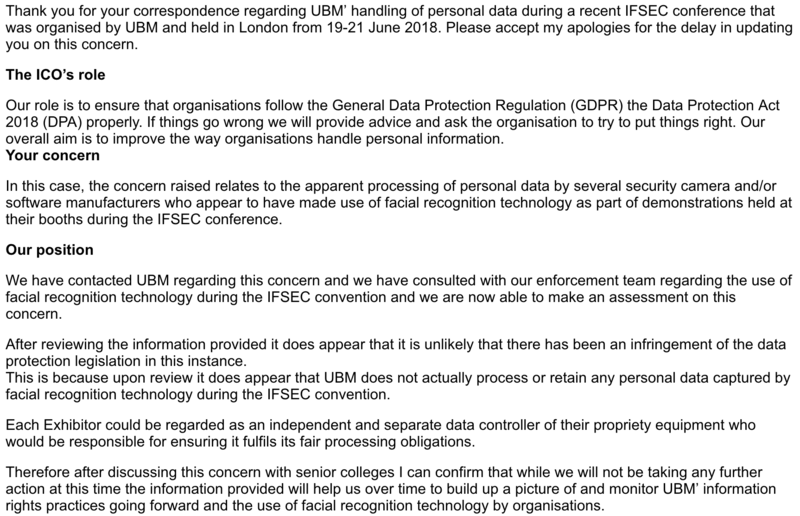 UBM does not actually process or retain any personal data captured by facial recognition technology during the IFSEC convention. 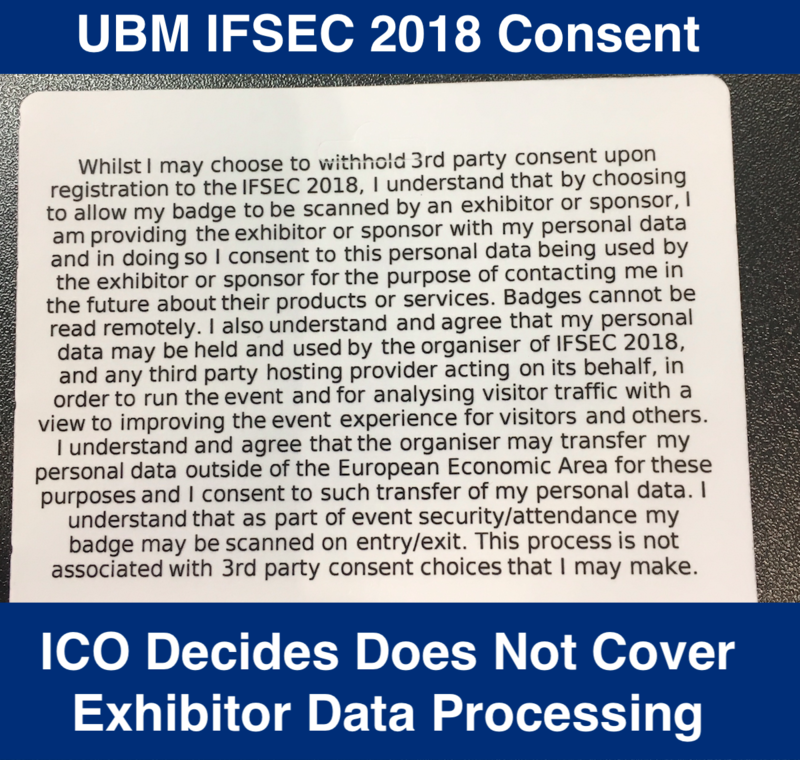 Given the decision of the ICO, IFSEC's consent will not cover their exhibitors for data processing such as facial recognition. This creates a challenge for exhibitors as, according to the GDPR, which went into effect in May 2018 and to which the UK is party to, biometrics processing like facial recognition is considered a "special category of personal data" and is generally prohibited with important exceptions. No consent was requested by any IFSEC 2018 exhibitor using facial recognition that we visited. The ICO decision here will help clarify the responsibilities that exhibitors and vendors have when they use facial recognition but raises questions of how exhibitors will actually conform with GDPR when using facial recognition.